The Lady Tigers from Macon County got some revenge last night as they shut down the Lady Bees 48 – 34 to create a tie for the number 1 seed going into the district tournament. There now will be a coin flip to determine who will be seeded number 1. Tori Brooks and Reagan Hurst led the Lady Bees with 10 points each. 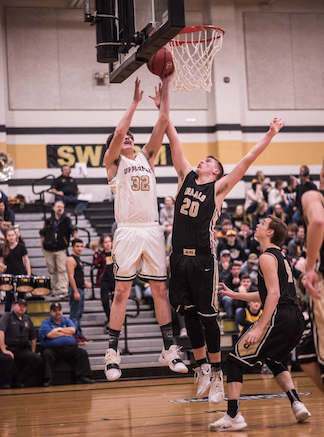 In the boys action, the Bees buzz past the Tigers 69 – 52. Alex Rush led the Bees with 30 points. Join us for a basketball doubleheader between Upperman and Macon County!